It may be down, but not out. 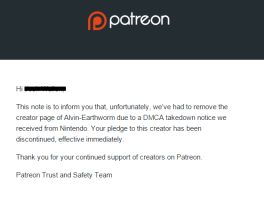 The Patreon page set up by Alvin-Earthworm for Super Mario Bros. Z has been taken down due to a DMCA request from Nintendo. To clarify, the project itself is not dead. Just the fan funding.